Tips for people who are susceptible to or who work with depression. I’ve been fascinated by energies all my life, and could see their colours as a child. Working in acute psychiatry as a nurse I could feel the energy of the different mental illnesses. It’s not that unusual, it’s just that most of us close this down as we grow towards adulthood. At first it was overwhelming, but over time I learned to manage my own energy. Energy hygiene I call it. Like cleaning yourself off, but also to stop absorbing other people’s which is what many sensitive people do without even realising it. Depression has a sticky, murky, oppressive feeling. Like some kind of sludge. If you have ever watched the kids’ movie The Incredibles, those metallic blob things that pull down Mr. Incredible when he gets caught inside Syndrome’s premises and sets off the alarm. It’s not easy to be around, and even worse to have it. I have worked with and cared for people with depression, and had mild depression myself in the past. It’s what made me want to become a counsellor, when my counsellor helped me to overcome mine. It was like a massive concoction of negative thoughts. All of which were discouraging, poisonous and untrue. Self-depreciating, the voice of depression was always horrible. The only good I could see that was in overcoming depression I then knew how amazing life really is. Sort of like those who have never seen the dark wouldn’t know how bright the light is. Your thoughts have a vibrational frequency, choose them wisely and learn to change the ones that are not helping you. Get help if you need it. I teach my clients to answer the depression thoughts, I call it the voice of depression, back. It tells so many lies and you have to remember just that and not get sucked in. Be assertive, contradict it, stand up to it. Take your power back. Become a positive words and thoughts ninja. Learn to ground yourself. 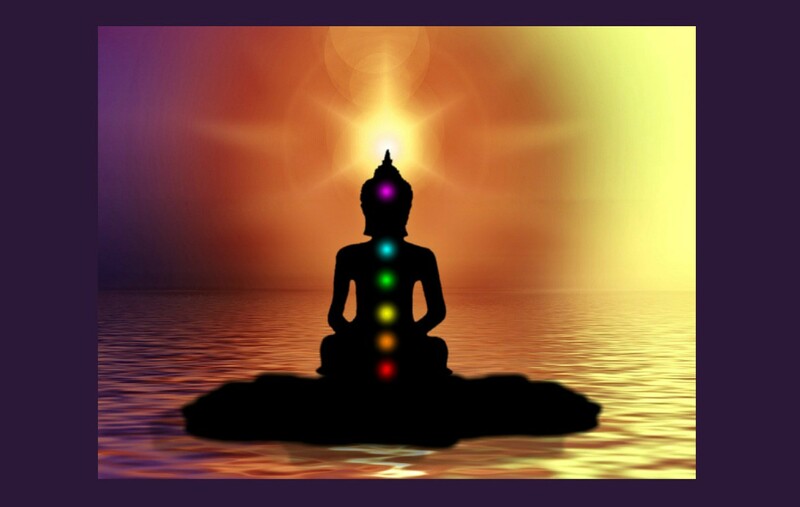 If you could see the chakras or energy centres of the depressed person, typically the upper chakras may be overactive. The mind is usually working overtime, in the most unhelpful of ways. The following things help to ground you and balance your energies: grounding yoga poses, such as Mountain Pose, Thunderbolt Pose, Child Pose; crystals for grounding such as Obsidian, Hematite, Iron Pyrite; Getting out in nature; Gardening and outdoor jobs on the land; learning about the chakras and how to balance them. The energy of depression can slide it’s way down through ancestral lineage. It can seep in when we have learned ways of thinking negatively. This is explained by genetics and also modelling. Having a parent with depression that we witness as children makes us more susceptible. From an energy point of view, Bert Hellinger demonstrates in his fascinating Family Constellation work how the ancestors pass on their unresolved issues, including depression energetically, and that this has the potential to be healed even when the individual suffering today has never met the ancestor who may even be deceased years earlier. Having an awareness of all the possibilities gives you options in how to heal. People and the stuff we are exposed to affects our energy and mood. If the news is always doom and gloom, you don’t have to watch it. If certain folk are always negative, find ways to withdraw and choose better company, or at the very least find a way not to join in with speaking negatively along with them. I use long car journeys when I am alone, doing housework, or even on the treadmill in the gym to listen to positive material. Uplifting audiobooks, podcasts, YouTube videos etc can all help us to feel better. Get picky about what you expose yourself to. Do you have any questions, or any tips for minding your energy around depression? Leave me a comment or give me a shout-out on Twitter!